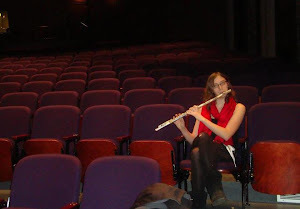 As a graduate student studying flute performance I don’t have a lot of time for, well, anything. Taking three classes, working on my thesis, helping teach four classes, building up a studio, and the never-ending stream of rehearsals, practicing, and audition prep, all combines together to create a busy and hectic lifestyle. But despite all of this, and the constant needs of sleep, food, and gym time, I still manage to find the time to play pool, to work on my game, to watch matches and learn more about the sport. But why? How do you balance out these two passions that take so much time? What do I get out of pool in the world of music, and how does music help my pool game? Because it is not a parasitic relationship- studying the flute doesn’t not directly impede my pool game and vice versa. There are so many commonalities between the structures of both activities that doing one directly affect the other. Long tones are like spot shots. When I’m in my office playing long tones it’s really easy for my mind to wonder, my focus to leave, and my work ethic to lag. Who cares if that Eb doesn’t sound as clear as the D or C below it? Why does it matter? Well it matters because of the level I’m at, if I want to make a living off of music than it is the little things like this that I need to focus on. Miniscule little elements of music that the average listener wouldn’t even regard or notice are the focus of intense hours of repetition in the practice room. I like to start my flute sessions with these long tones, to remind myself of how to play each note on the instrument, where to place the air stream, and how to keep the notes sounding good. Sometimes I wander and don’t want to do that, but then I remind myself of the spont shots that I love to start my pool sessions off with. I place a ball (usually the 9 or 8 ball, or 10 ball—depending one what game I’m focusing on that day) on the spot, put the cue one diamond in on the short rail and two diamonds up on the long rail and shoot the target ball into the corner. I alternate from each side of the table in groups of 5, and don’t stop until I’ve made the shot and put the cue where I wanted it 5/5 times on each side three times. But after shooting this shot so many times what’s the point, there are harder shots for me to focus on. I use the spot shot to remind myself how to stroke, I focus on any hitches in my stroke, I analyze my bridge, I check in on my stance and my shoulders, all of the little things that need to stay the same for every shot I make sure are the same on every spot shot. Just like I want my Eb to sound the same as my C, I want my stroke on that tight cut to be the same as on my bank. I’m new to pool, so maybe that isn’t necessarily what the pros want, but it’s what I want. When I keep my stroke long and even I make shots more consistently and with more ease than when I worry and chop the shot. Anyone can sit down, or stand up, in a small room and play the flute for three hours every day. It’s really just a matter of scheduling that time and going to the room. But not everyone uses that time wisely. Rather than running every piece from start to finish, the acute musician will focus on the elements of their sound, technique, and repertoire that they are struggling with. They will run long tones for hours evening out their tone, play every single type of scale at every possible rhythm and articulation, they will do breathing exercises and work out, all before even looking at their repertoire. The savvy musicians understands that it’s not a matter of playing each individual piece of music thousands of time, but rather of playing the scales, long tones, and articulation exercises that are applied to all different pieces of music. If you know scales then you know that section of your piece where the flute is just playing broken thirds of a major scale. It’s the same with pool, pattern play is important (running the rack), but first you need to be able to do a spot shot. You need to have a good stance, an even stroke, and a good eye. Practicing the individual shots that you struggle with and that constantly come up in your game is like practicing scales, it’s a mindset of work on miniscule elements of the game and of the instrument. I would never have played pool like this if I wasn’t first and foremost a musician. It doesn’t matter how focused your practice time is, you need to put in the time itself. Pool and music both require consistent work, daily practice, and lots of it. You can’t skip a day of music and expect to pick up your flute sounding the same as you did before the break. It’s unfortunate. I always hoped that when I got better I could take time off and still come back to the same level as before, but it’s the other way around. The more finesse and sophistication there is to your sound the more you need to work every day to keep it. It’s the same with pool, as I build up my cue control, my speed control, and my pattern play, I find that skipping a few weekdays really pushes me back to square one again. Music is no fickle mistress, and pool is just as demanding. But there are 24 hours in a day and 7 days in a week, one can schedule the time in if one wants to. Flute practice takes up three hours of my day, pool takes one to two, and everything else fits in that 19-20 hour time period of consciousness. When I finish my masters degree I will have more time for pool, but until then it gets the backburner, as far as time goes at the table. But the time I spend in the practice room and the time I spend in the pool hall build off of each other: my music focus alters my pool focus, the joy I get from pool has been reflected in the joy I get from the flute, the work ethic, time, focus, and dedication from both parts of me have grown to a feverish pitch and I will continue to work on both pool and music. Being a musician does not mean I can’t be a pool player, and shooting pool does not detract from my role as a musician. With a little energy and focus I have been able to do both, so far, and we’ll see where it takes me in the future.